After the success of 2017's Get Out (grossing over $176,000,000 domestically and garnering writer/director Jordan Peele an Academy Award for Best Original Screenplay), anticipation for Peele's follow-up film was high. 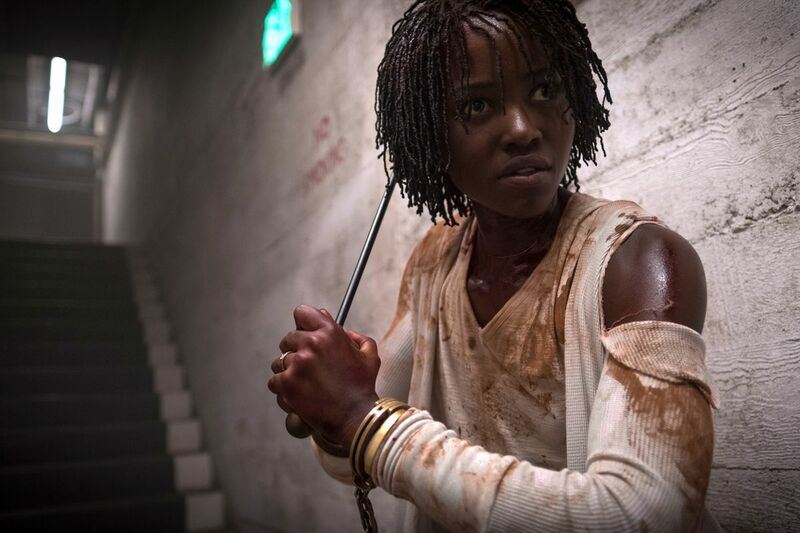 Sophomore features can be a difficult hurdles for filmmakers who achieve so much success right out of the gate, but Us deftly avoids the sophomore slump for Peele and showcases him as a filmmaking force to be reckoned with. Us is arguably an even more complex film than Get Out Much was made about the social themes that made Get Out so unforgettable, and Us continues Peele's exploration of societal ills as horror, but this time the conclusions he reaches are so cut-and-dried. Us is a much thornier film, one that grapples with difficult questions without coming to any definitive conclusions. While Get Out explored unexamined racism in white liberals ("I would have voted for Obama three times if I could have"), US has a much broader target. Here, the villains are quite literally us. The film begins as a home invasion thriller (a la Funny Games and The Strangers), in which the Wilson family is terrorized by a family that looks exactly like them. They call themselves "the tethered," shadows of people from the world above who live underground, whose lives mirror those of their tethered counterparts, two bodies sharing one soul, inexorably linked but never co-existing. But the time has come for them to emerge from the shadows and take their place in the outside world, killing their tethered counterparts and ushering in a new era of humanity ruled by those forgotten by society. Peele quickly expands the home invasion aesthetic into something much grander and broader in scope. It's not always easy to see what Peele is going for here - Us is an incredibly dense film, layering ideas and subtexts into a veritable feast that works as both a straight horror film and an acerbic commentary on reckoning with the sins of America's past. Here we have America's forgotten, all wearing red, rising up from underground to build a wall across the country. But it would be irresponsible to read the film as simply a critique on Trump-era policies. Us is also a film about confronting the past, and the monster within ourselves. America was a nation built on the backs of slave labor, and that original sin comes back to haunt the film's characters in often terrifying ways. Us forces us to grapple with our own culpability in systems of oppression. What if, after all this time, the monster is really us? At what point do we have to acknowledge that we have benefitted from invisible privilege? It's a wholly fascinating work, a film that operates on so many levels simultaneously that it often feels like an astonishing high-wire act, built around a truly spectacular performance by Lupita N'yongo in a dual role. Few mainstream films ever deal with issues like this on such a deep level, but Jordan Peele is quickly establishing himself not as a great filmmaker, but a quintessential chronicler of our nation. He holds a mirror up to the audience, and what we see is far more terrifying than anything he could ever depict on screen. 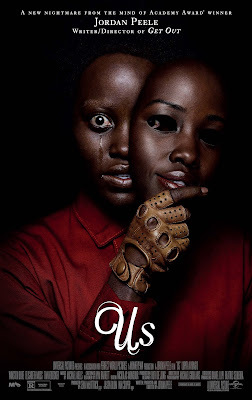 US | Directed by Jordan Peele | Stars Lupita Nyong’o, Winston Duke, Evan Alex, Shahadi Wright Joseph, Elisabeth Moss, Tim Heidecker | Rated R for violence/terror, and language | Now playing in theaters nationwide.